We had a hugely successful launch to the 2017 build season yesterday and thanks to all who contributed! I was lucky enough to spend the day floating between working groups and got a great sense of the community of folks who use and love the trails of Little Mountain Park. It was inspiring to hear of trail runners, hikers, and mountain bikers who see these trails as their home mountain- perfect for a lunch run or after work spin. A lot of us know and love the larger regional options we have as trail users but it was great to see so many people committed to improving their local trails in Mount Vernon. 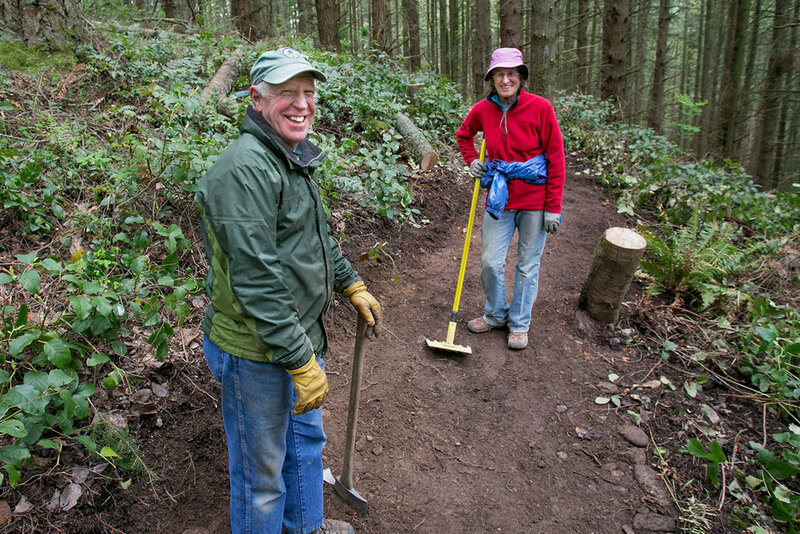 Under the helpful guidance of many experienced trail builders our volunteers were able to complete almost the entire connector trail - in record time! There are a couple of sections to revisit with imported materials but we are well on our way to completing the missing link - a full dirt only lap around the mountain from the entry gate. Check it out next time you get up to the mountain. 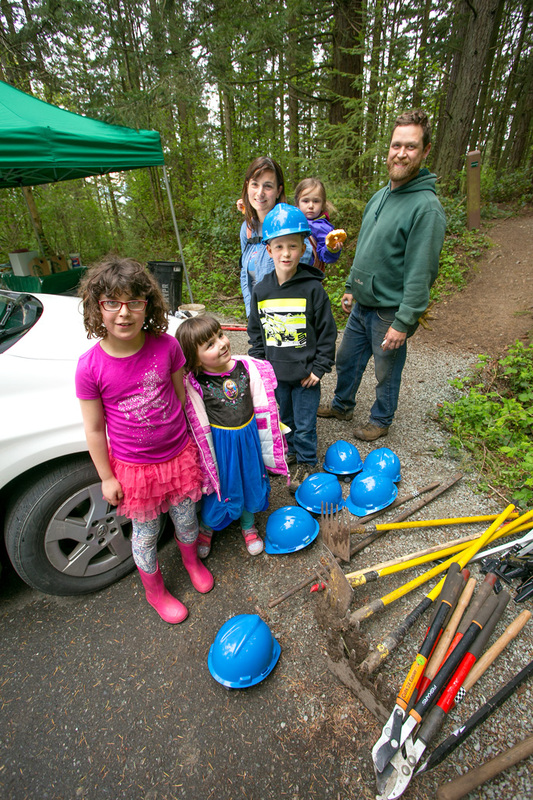 This trail day was a great community connector too with volunteers coming from as far as Seattle and Bellingham. 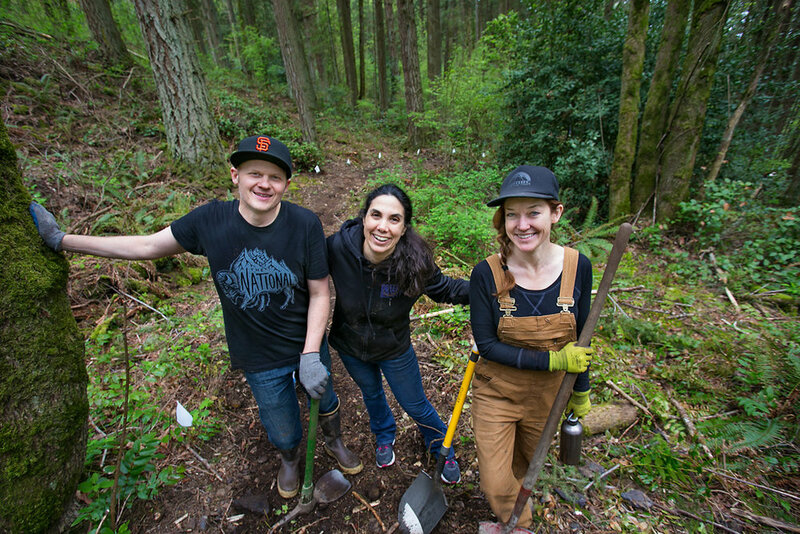 Special thanks to our friends Javon Smith and Barbara Karabin (President of the Whatcom Mountain Bike Coalition) for joining us and sharing their knowledge and perspective from up north. Look forward to seeing many of you in a month - Dates for our next work party to follow shortly.